When performing an address book lookup, if the BlackBerry Enterprise Server returns minimal information, such as the email address and the personal information number (PIN), but did not return work numbers, mailing address, or mobile numbers, there are multiple causes for this issue. The computer that is hosting the BlackBerry Enterprise Server could be out of disk space. Make sure there is enough hard drive space available, and then restart the BlackBerry Dispatcher, BlackBerry Router, and the BlackBerry Controller services. The ALP Service Book on the device you are using for the address lookup could be corrupted. If you are still having the same problem after restarting, you need to resend the service books from the BlackBerry Manager to the affected BlackBerry users. The BlackBerry service book is a file that determines how the BlackBerry device connects to the RIM servers. It also enables features, such as email and browser functions. To resend the service books complete the following steps. 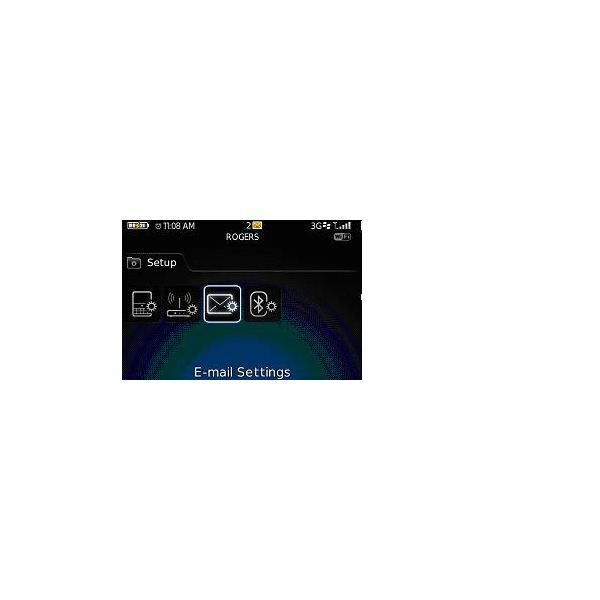 Click the Email Settings icon on the BlackBerry smartphone home screen. Enter in your username and password if you were prompted, and then click Log In. Click the Help link on the main screen. 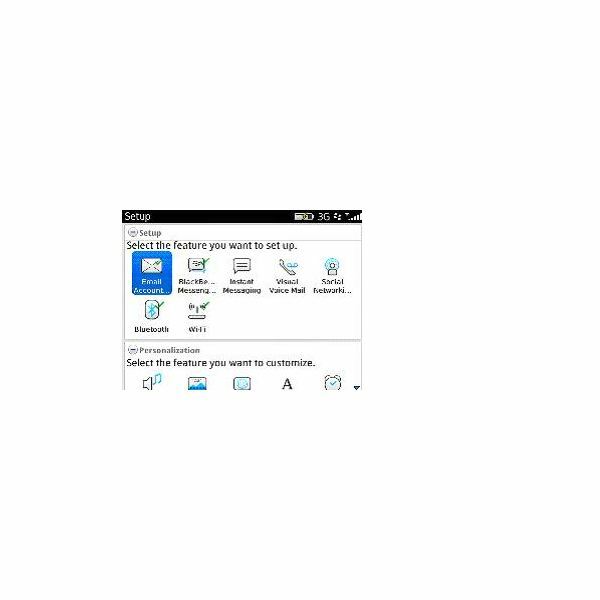 Click the Setup icon on the BlackBerry main screen. Enter your username and password if prompted, and then click Log In. Click Menu, and then click Service Books to send the Service Books to the BlackBerry device. If the user’s phone or other contact details contained in the Active Directory for the user are missing then you can try this fix. If the address lookups are only failing to return the correct information for a small group of phones, and all other users on the BES are working okay, wiping and reactivating the problematic BlackBerry smartphone should resolve the issue. Make sure you backup your BlackBerry smartphone before clearing the database. Clearing the database, permanently deletes the data contained within. The database contains the user’s information, such as calendar, memos and contacts. Note: Wireless synchronization must be disabled if your BlackBerry is currently active on a BlackBerry Enterprise Server. Follow the steps below to accomplish this task. Open the organizer data application to be synchronized (calendar, memos, address book or tasks). When the application is open, press the Menu key and select Options. Uncheck the Wireless Synchronization checkbox. For the calendar or address book, you first need to select the contact list or calendar that has wireless synchronization enabled, such as Gmail, Yahoo! or Desktop. Press the Menu key, and select Save. Connect your BlackBerry smartphone to your computer via the USB cable. Open the BlackBerry Desktop Manager software installed on your computer. Click Backup and Restore, and then click Advanced. Select the appropriate dataset from the list of databases. For example, if you want to clear email messages, you would select Messages. Click Clear, and then click OK.
Click Refresh to confirm the database has been cleared. Connect the BlackBerry smartphone to your computer via the USB cable. Open the BlackBerry Desktop Software installed on your computer. Click the Device menu, and then select Delete data. All data – clears all data on the BlackBerry device. Selected data – clears only data from selected database. Back up data before deleting. You must be connected to the BlackBerry Enterprise Server before you can use the Lookup feature. Press the Menu button on the BlackBerry home screen. Scroll down and select Options. Scroll down and select the Advanced Options. Click the Enterprise Activation option. Type in your email address that you use to connect with on the Enterprise server. Type in the email password for your account, which should be provided to you by your IT department. If you do not know what your password is, you should get in touch with your systems administrator. Press the trackball down after you enter the password. Click the Activate option. After you click the Activate option, your BlackBerry will connect with Enterprise. You will automatically start to sync with email, contact information and calendar. Make sure that a window appears displaying a successful Enterprise connection.